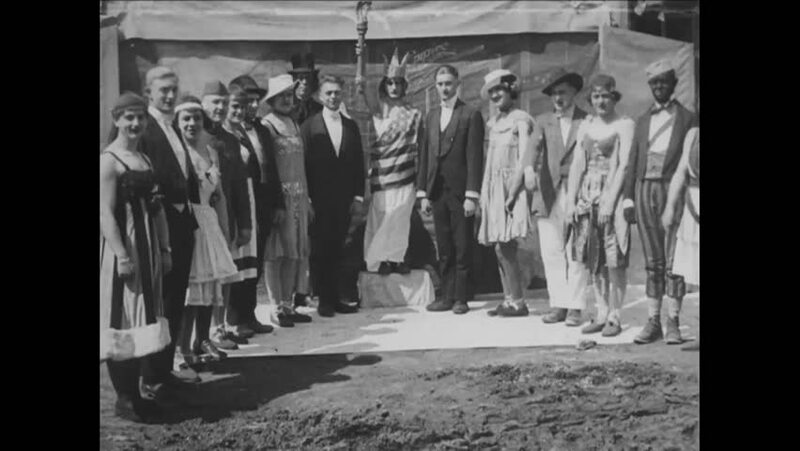 CIRCA 1919 - Entertainers put on musical performances for American soldiers stationed in France. hd00:35CIRCA 1934 - General Grote Hutcheson addresses Camp Meade's graduating athletics class and hands out diplomas. hd00:19UNITED STATES 1950s: Boy and girl walk down street with basket, look in store window / China in store window / Boy and girl walk away from window. 4k00:151930s: Man leads camel through crowd of people. Men stand on rocks, sheep walk around. hd01:26CIRCA 1910s - A native tribe attacks the Spanish group that kidnapped a native woman, and Dutch pioneers settle in their camp. hd00:53CIRCA 1940s - Dutch children line up and eat at a soup kitchen.